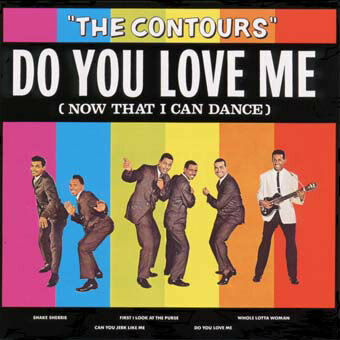 “Do You Love Me” sounds more its cross-town cousin Detroit garage rock than the Hitsville factory. Completely devoid of the “Motown sound,” this is the rawest release from the label until the signing of Rare Earth seven years later. After the guitar accompaniment of the spoken intro, the song is all piano, drums and handclaps. The lead vocals borrow more than a little from James Brown, but the sheer joy and exuberance of everyone in the room is what carries the song. The five singers are having too much fun to care to care about love. If this woman won’t have them back, they know there are plenty more hopping in line. Like a party that steamrolls past curfew, this song has too much energy to stop. The first attempt at shutting down is little more than a hiccup. After a false fade that fools absolutely no one, the Contours are right back in the pocket. If it weren’t for radio restrictions, this bash would have carried on all night. Ultimately, the engineer has no choice but to fade the track.